Be the first to recognize the dinosaur your friends are imitating... Do you think it’s easy? Try it! During our explorations, we went to a large Mutant Dinosaur Park. This scary jungle was populated by bizarre and exotic creatures. These fascinating animals hide among the thick vegetation, so you can normally only recognize them through their prehistoric sounds. 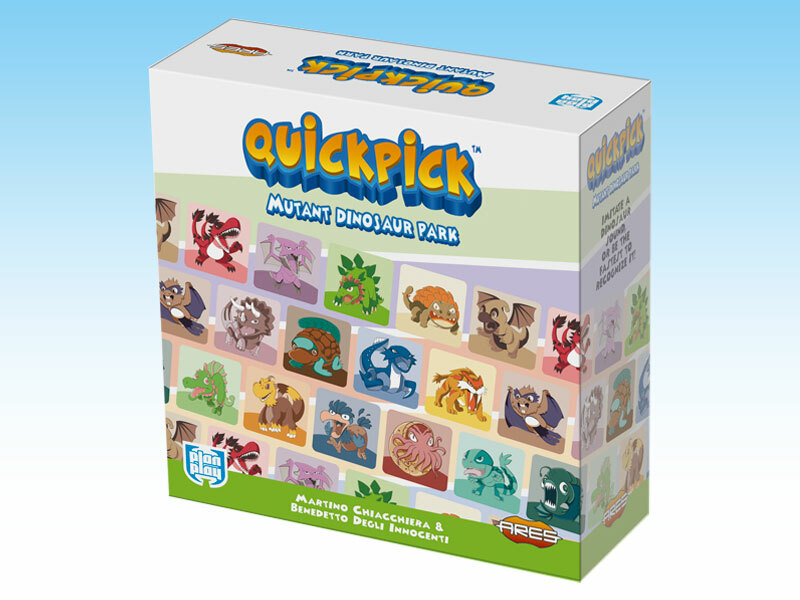 Quickpick – Mutant Dinosaur Park™ is the second game in the Quickpick line, featuring an innovative gameplay based on the ability of choosing and taking actions quickly, using different perception skills, such as recognition of expressions and sounds. The gameplay combines humor, dexterity, and simultaneous action. The imitator draws a Dinosaur card and tries to recreate the sound he imagines the Dinosaur would do, while the other players try to guess which Dinosaur he is acting out. If a player guessed correctly, he and the imitator collect a card. The winner is the player who collected most cards at the end of the game. 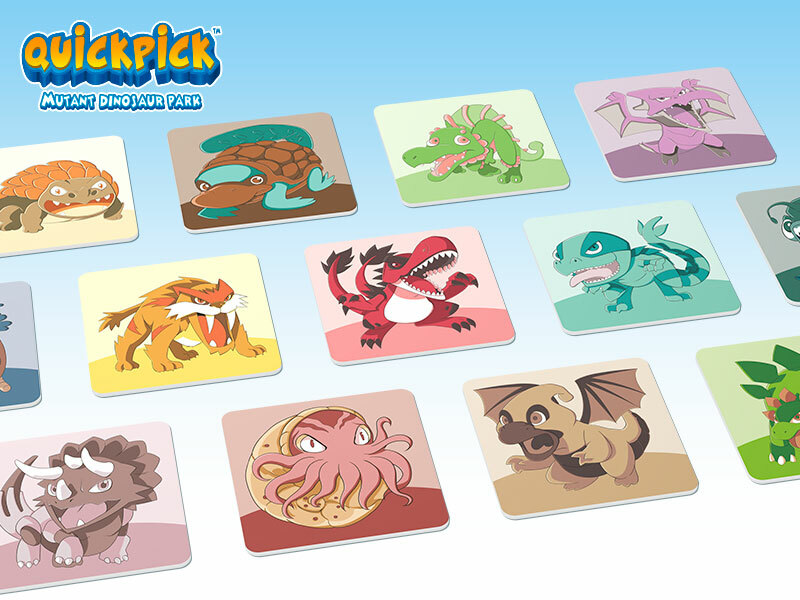 Quickpick – Mutant Dinosaur Park is designed by Martino Chiacchiera and Benedetto Degli Innocenti, and is illustrated by Claudia Cocci.